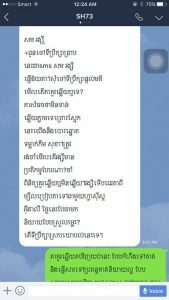 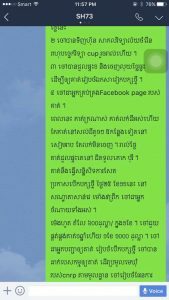 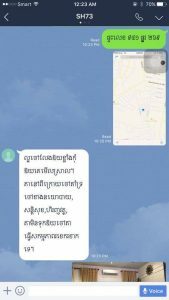 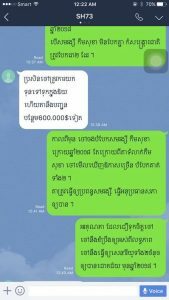 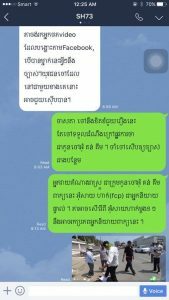 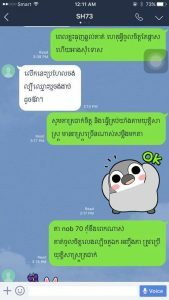 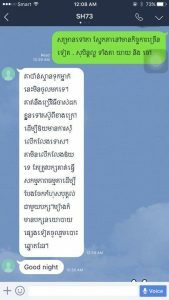 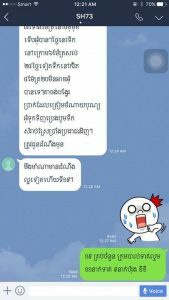 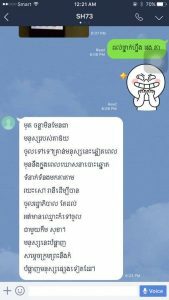 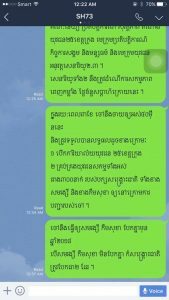 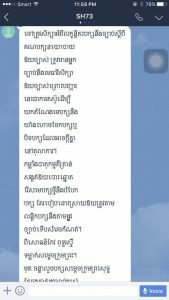 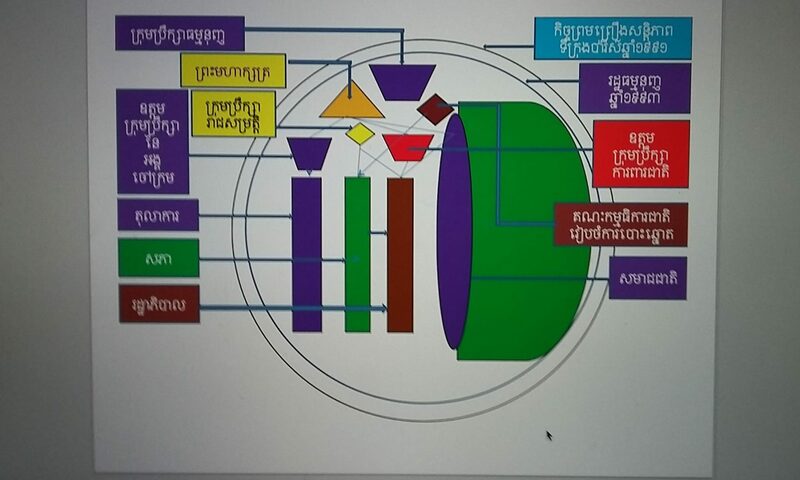 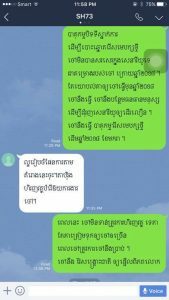 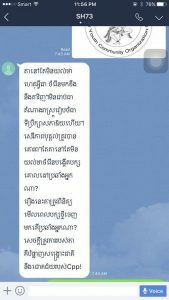 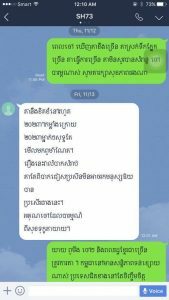 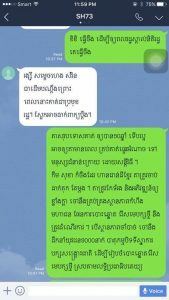 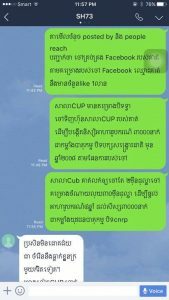 Ms. Thy Sovantha and Phe Sovannarith uploaded at least 408 pictures phone-screened the conversation between Prime Minister Hun Sen and Ms. Thy Sovantha through Whatsapp. 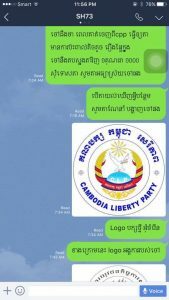 If the conversation peer is genuine, there are many info to be learnt about dirty tricks in politics galvanized by Hun Sen to weaken his opponent, CNRP’s leaders. 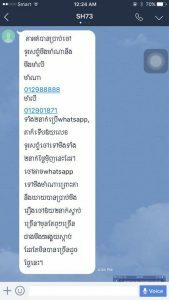 Below are some of the recent selective chatting sheets.